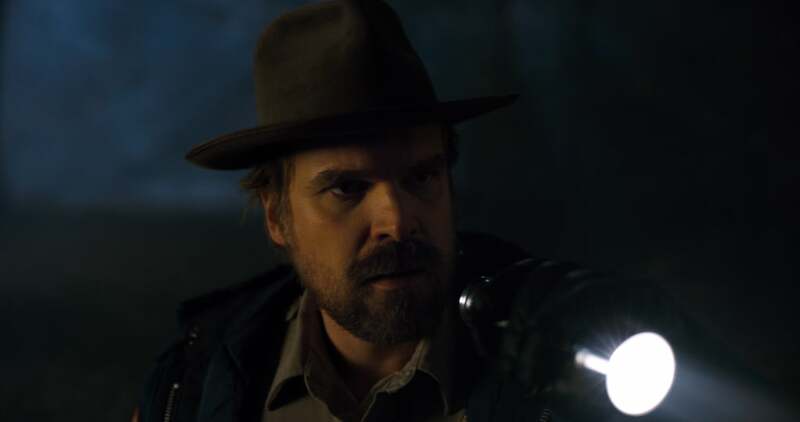 With season 3 of Stranger Things still a few months away, it looks like they're gearing up to give us more info about one of our favorite characters. A new novel will tell the origin story of Hopper. While some information is already known about the fateful history behind the heroic sheriff, the new book will give us more back story and develop him beyond what we already know. With an aim to promote the upcoming third chapter in the tale of Hawkins, Indiana, the book will hit on June 4th, exactly one month before the 4th of July release of season 3. By now, we've all been patiently waiting for another set of episodes. Now, we're to the point that we're losing our patience. This new story will apparently tell the tale of his life before the happenings of the first two seasons and will capture the details of his marriage and the loss of his daughter, Sara. This should give viewers a better idea of his struggle and why he's so connected to Eleven. The book is titled, Stranger Things: Darkness on the Edge of Town.